It was in quiet area. The staffs were well informative although they were not that much easy to approach. I like the the hotel due to can attend to over sea guest and the price no expensive and near to Subway easy for me to go around to visit Beijing the staff there is friendly once again thank to all the staff I have a great day. The staff are absolutely amazing!! They work so hard everyday and attended to my every need. Ivy, Sicilia, MWD and Qiangge were all fantastic. It did not take long for me to feel like I was part of their family. The cook is wonderful as well as the cleaning crew. They come in and remove the trash from your room daily. It is very rustic, but exactly what I hoped for in ways of exploring another culture. I am forever grateful to these wonderful folks! 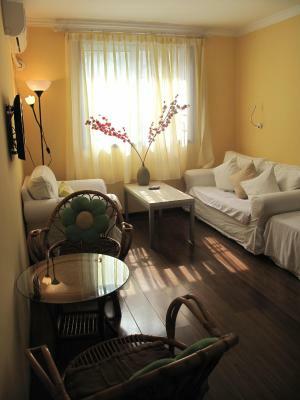 Polite staff, good location, close to the metro and most landmarks. 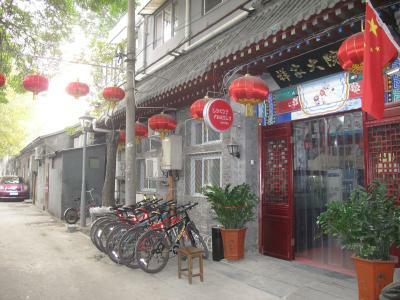 The neighborhood in itself is beautiful, you get the feeling you are experiencing Beijing like a local. Its also ideally situated, being close to the last station of the airport-shuttle-train and within 45 minutes of the major tourist attractions. The girls at the front desk were very nice and helpful. The food was pretty good. Good value for the money. Nice to be in the middle of a Hutong of local people. The location is superb. You are in a peaceful Hutong. The staff speaks English. Central yet quiet, Lucky Family Hostel is a 5-minute walk from Zhangzizhong subway station and a 10-minute drive from Sanlitun Bar Street. The Forbidden City and Tiananmen Square in the center of the city is a 10-minute drive away. The rooms have hardwood floors, a writing desk and air conditioning. 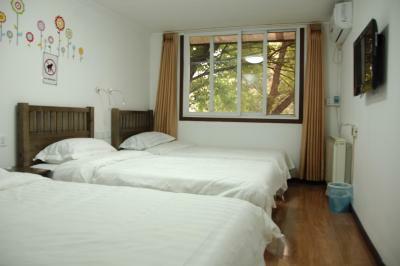 There are both lively dorm rooms and quiet private rooms available. Baggage storage is available at the 24-hour front desk. There is also a common area equipped with a computer and a DVD player. 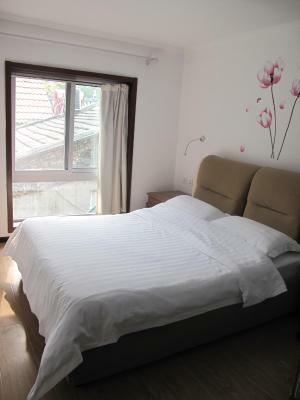 뀐 Located in the real heart of Beijing, this property has an excellent location score of 8.5! 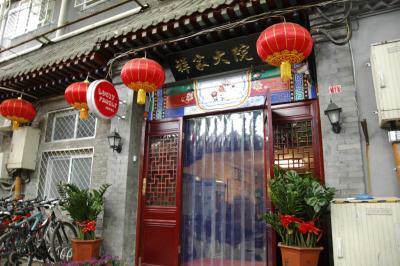 When would you like to stay at Lucky Family Hostel? 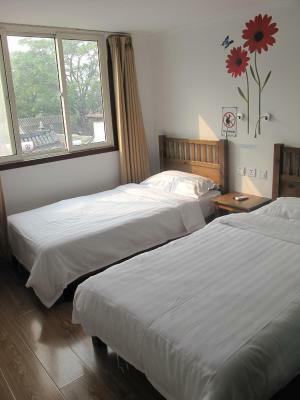 Room includes air conditioning, a desk and a flat-screen TV. Features a private bathroom. Please note that there is no capacity for an extra child in the room. House Rules Lucky Family Hostel takes special requests – add in the next step! Lucky Family Hostel accepts these cards and reserves the right to temporarily hold an amount prior to arrival. Please inform the property in advance if you are planning to check in later than 18:00. Please bring your own toiletries. 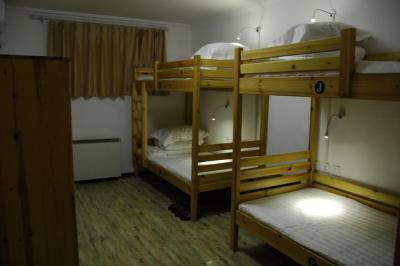 For guests who book more than 1 bed, the property cannot guarantee you that all the beds are in the same room. Please inform Lucky Family Hostel of your expected arrival time in advance. You can use the Special Requests box when booking, or contact the property directly using the contact details in your confirmation. Beds were so firm, it felt like sleeping on the floor - very uncomfortable. Also, a random lady tried to break into my private room at 6am, and when I told the front desk, they apologized, but didn’t seem concerned with it beyond that. Just a short walk to the metro station. Staff is really kind! Nice hostel! Location is awesome, food is nice too The staff is amazing, loved how Ceci, Ivy and Chang and the others as well, are always willing to help and are friendly! Miss you guys already! Space was too small for 4 and 6 Dormitory rooms. It was not that much clean. The AC didn't work properly. Could have been cleaner and the ventilation in some rooms is just ok and can result into some thick air. The room was very cold, because heating did not work properly. The staff is nice and they try to help you when you ask for something. Location is very quite, but close to the subway. Food is good and you get it for good price.